Food shortages, hunger, starvation and long-term food security are not new issues in Africa, nor elsewhere in the developing world. Food security means that all people, at all times, have both physical and economic access to enough food for an active, healthy life. 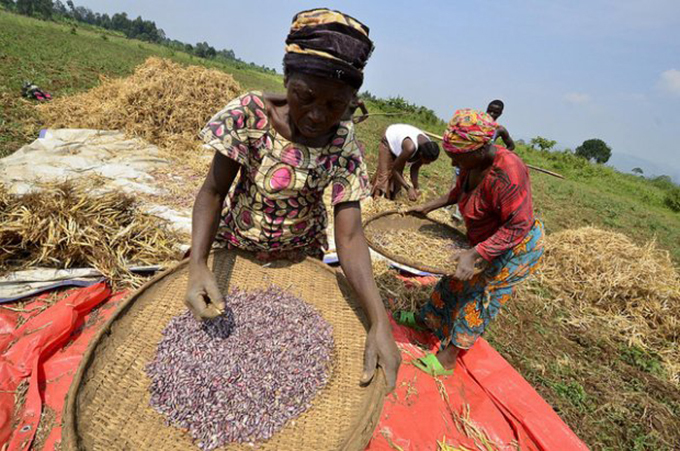 The most recent figures suggest that food security is far from a reality in Africa. 23% of the continent’s population – some 233 million people, most of them young – face dire hunger every day. This number also represents more than a quarter of the global figure for people who live with hunger bordering on starvation. The geographical distribution of the crisis in sub-Saharan Africa is uneven. Countries whose environmental conditions are least suitable for agriculture are severely at risk. So are those that have been subjected to prolonged periods of warfare or internal social conflict and poor governance. In more recent years, the broad impacts of global climate change and the prolonged effect of the current El Niño phenomenon have intensified the problem. Ethiopia, South Sudan, Zimbabwe, Malawi, Angola and Mozambique are all at risk. South Africa will, in 2016, possibly cull some 800 000 head of cattle and import at least 300 000 tonnes of maize. As a result, this “old” topic has become increasingly important in current research and development. This understanding of science’s value in food security debates prompted South Africa’s National Science and Technology Forum to host a “Discussion Forum on Pulses and Food Security” in June 2016. The meeting’s preliminary findings make a critical point: food is a necessity, but it’s also a product. In other words, it must generate a profit for the points in the food chain – farmers/growers, transporters, processors, storers and sellers. It’s the profit at these points in the chain that keeps the chain working and moving. Farmers may decide not to put low value crops into the chain because this lowers profits. That leads to waste at the point of source. This situation may also mean that if supply and demand aren’t in kilter or prices are too high, people won’t buy particular food products. So there’s waste again, or what appears to be a surplus. There’s more food than can be purchased or can be afforded. Overcoming this requires market adjustments all along the supply chain. This is not a uniquely African challenge. It’s a global problem. The world produces more food than paying consumers really need, resulting in substantial waste. Meanwhile hunger and starvation remain endemic, primarily in the world’s developing regions. Critical inputs – farmers at all scales of production need high-yielding seeds, effective fertiliser and sufficient water to produce a successful crop. This doesn’t always happen, and there are also problems with coordination between farmers and markets. Access to financing – for smallholders especially credit is often inaccessible or unaffordable. This also leaves farmers much more vulnerable to market volatility and unpredictable weather. Property rights – in many parts of Africa, farmers are unable to own their land and pledge it as collateral. This limits their incentive to reinvest in their businesses. Infrastructure for market access – farmers generally can earn higher prices outside of harvest season. Yet few African smallholders have access to proper storage to take advantage of price fluctuations. Many also live in isolated, rural areas where a lack of paved roads, reliable energy, warehouses and cold storage put food security at risk and increase post-harvest loss. Off-farm income – this is critically important to agricultural development. The first migrants from farms to cities often send money back to their relatives. Those remittances can fund better farm inputs – seed, fertiliser and machinery, for example. In addition, farmers and farm outputs benefit if urban workers have incomes sufficient to purchase food at prices that encourage farmers to produce more. The urgent need for investment in research and development – in other words, in relevant science and technology and then in implementing the outcome of scientific and developmental work. There are several examples of why this fourth point is so relevant. Science is already doing great work when it comes to food supplies. For instance, the Innovation Lab for Food Security Policy consortium is working with governments, researchers and private sector stakeholders. It’s active in about 19 “Feed the Future” focus countries in Africa, Asia and Latin America, trying to increase agricultural productivity, improve dietary diversity and build greater resilience to challenges – like climate change – that affect livelihoods. The fourth recommendation is particularly significant. It would seem that the food supply chain is subject not only to competitors, but also to inaccurate and possibly opportunistic political assessments. In South Africa, for example, there was an outcry after the country’s Minister for Social Development suggested that R753 (around US$56) a month was enough to feed a low-income family of five people. But best estimates, which take account of the impact of drought and the effects of El Niño on food prices, suggest that the minimum figure for the most basic basket of food for a family of five is closer to R1147 a month. That’s 52% more than the minister’s figure. This sort of politicking is all the more reason for more rigorous science, better insights – and fewer opportunities for guess work at the expense of low-income, hungry families.